words and photos by Jeff SchmuckFor years many have been hoping to see a premiere of unique proportions go down in the skiing epicenter that is Vancouver, but not until Saturday night did those dreams and visions become reality.Red Bull, Oakley and Comor Sports got together and dreamt up an idea that would bring the ever-growing Vancouver freeskiing community together under one roof, or rather, one sky. 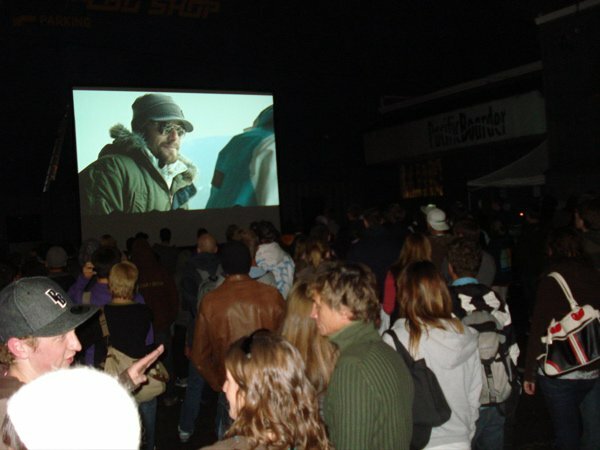 the Vancouver ski scene unitesThe two mega-companies and the best damn shop in Vancouver erected a jumbotron on the back wall of the store and invited the young and old to come out for a free showing of Tanner Hall’s new film Believe. 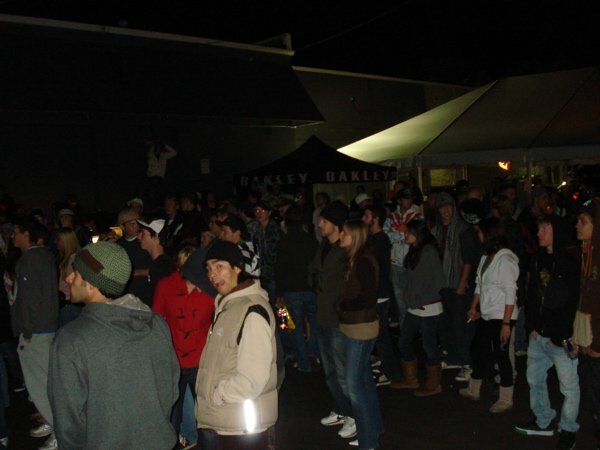 With enough free Red Bull to flood the Nile, along with a DJ and a couple of Red Bull girls that did a fine job of distracting the adolescent boys from watching the film, roughly two hundred kids paraded down to the shop and partook in a parking lot premiere under an unusually clear Vancouver sky. 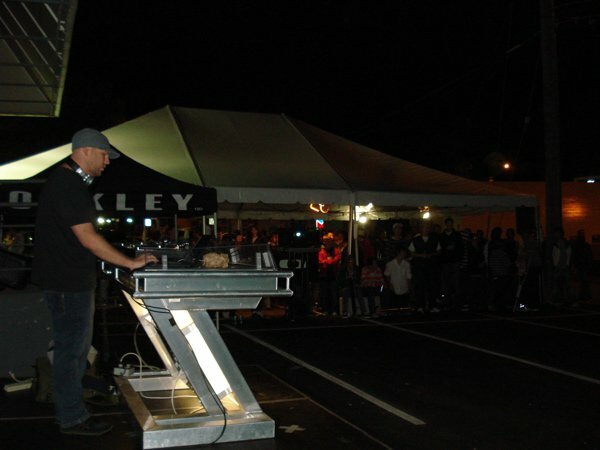 the DJ keeps the crowd entertained before the show gets rollingAs Tanner &amp; Co. did what they do best on screen, flanking the jaw-dropped kids were a trio of athletes from the film that call Whistler and Vancouver home. Sean and Callum Pettit and Anthony Boronowski happily joined the party and signed posters long after the screen had faded to black, and despite the punishment the set-up’s sub-woofers undoubtedly received courtesy of the film’s soundtrack, not a single neighbor or police officer complained. air high-fives!As local haunts Whistler and Mt Baker got sliced and diced on screen, the clock slowly made its way to midnight marking the first day of fall, and somewhere in the city, a leaf fell to the ground. Winter is en route, and after this premiere, Vancouver is ready for it. Special thanks go out to Scott Jewett from Red Bull, Paul Player from Comor, Cody Swansborough from Oakley, Sean, Callum, Anthony and especially all the kids for coming out to Vancouver’s first premiere of many this fall.